One interesting aspect of our new school is its association with the American Embassy in Damascus. It’s not technically an embassy school (I’m not sure if there even is such a thing), but the American diplomats are on the school’s board of directors, the building belongs to the embassy, and teachers can join the commissary and pool, among other perqs. I think we also get some kind of embassy ID that helps us with official business. On top of that, it seems teachers are invited to some embassy-related parties. – Various embassy receptions requiring cocktail dresses and suits. Given the state of foreign and domestic affairs over there just now, I have to wonder if any of these parties will happen this year. Non-essential embassy staff and dependents were all sent home in April, but I suppose we have to prepare for any eventuality (right now the soundtrack running through my mind is by the Titanic dance band… if the dj plays “Nearer My God to Thee” at any of these parties I will hop on the next plane home). Anyway, it seems I need to pack cocktail dresses. I can’t remember the last time I had occasion to wear a formal, or even a semi-formal dress. For sure it was a long time ago because the only “little black dress” extant in my closet is a skimpy silk number, size 6. Right. Time to go shopping. 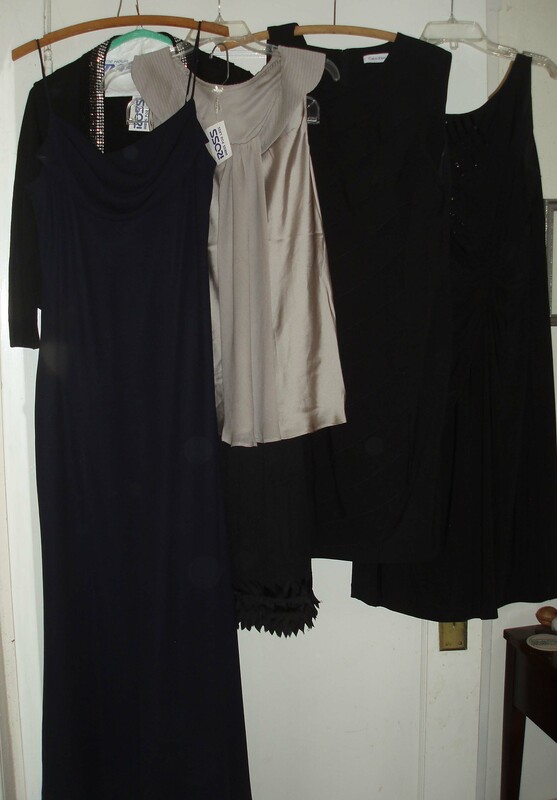 So yesterday I was off to the Ross discount outlet – maybe not a recognized source for high-end society fashion, but hey, you can get four outfits there for the price of one! So instead of getting just one, I got four (can’t wear the same dress twice, can I?) My wardrobe got a major upgrade, and I can get all dressed up – let’s hope we’ve got somewhere to go. This entry was posted in Expat experience, Syria. Bookmark the permalink.